How does a plant become a fossil? Fossilization is dependent upon where organisms grow and how quickly they are covered by sediment. Because the organics in plants readily decay or are chewed apart by other organisms, paleobotanists rarely find the fossil remains of whole plants. Instead, only fossilized parts of plants are usually found. Because of this, scientists estimate that very few of the billions of flora that have lived on the Earth since plant life evolved have become fossils. 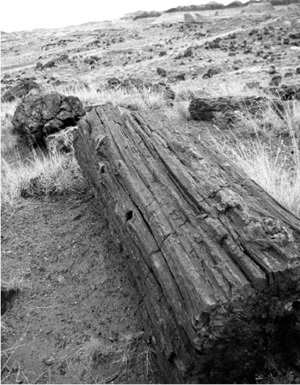 Petrified wood is actually a fossil that is formed when the wood of ancient trees is chemically mineralized over thousands of years.